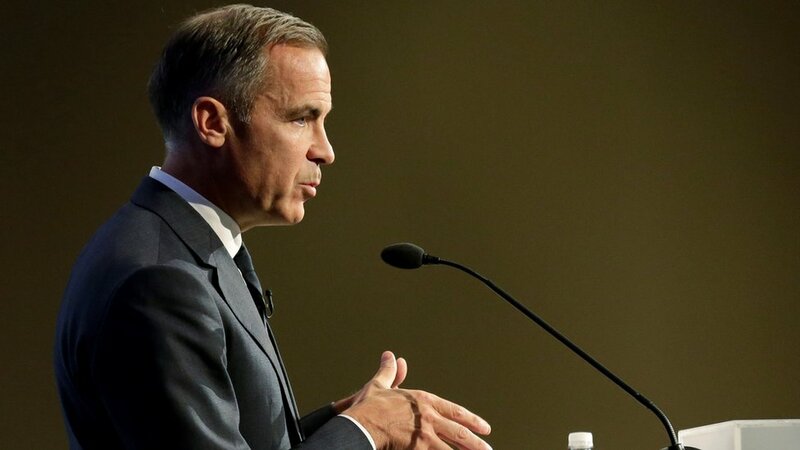 Mark Carney said that failure to agree a Brexit deal would create an "economic shock" for the UK. "It is in the interests of everyone, arguably everywhere" that a Brexit solution is found, he said. In a speech at the Barbican in London, Mr Carney said there was a "high level of uncertainty" about Brexit and it was clear that "companies are holding back on making big decisions". "A no-deal would be an economic shock for this country, and this would send a signal globally about re-founding globalisation. That would be unfortunate," he said. He also described Brexit as an "acid test" of whether a way can be found to broaden the benefits of economic "openness while enhancing democratic accountability". At a global level, Mr Carney said that growth had been slowing in "all regions" after peaking at 4% in 2016. As such, policymakers everywhere needed to avoid being "complacent" about economic risks such as rising consumer debt and the imposition of trade barriers. "The frequency of financial crises over history is partly because memories fade, financial lobbies are powerful, and the costs of backsliding on financial reform are invisible, at first," he said.